Both the production and collection of nanopowder can be done in a single integrated step. The system, with appropriate dimensions, would be able to produce nanopowders in tens or hundreds of kilograms per day. FCIPT has designed and developed a thermal plasma based system that can produce nanopowders of various metal oxides in an automated, easy and single step process. By varying the operating parameters one can produce nanopowders of Zinc oxide, Iron oxide, Titanium dioxide, Tin oxide, cobalt oxide, aluminium oxide etc. The particle sizes could be tuned between 10 - 100 nm with a size variation of not more than +/-15 nm. 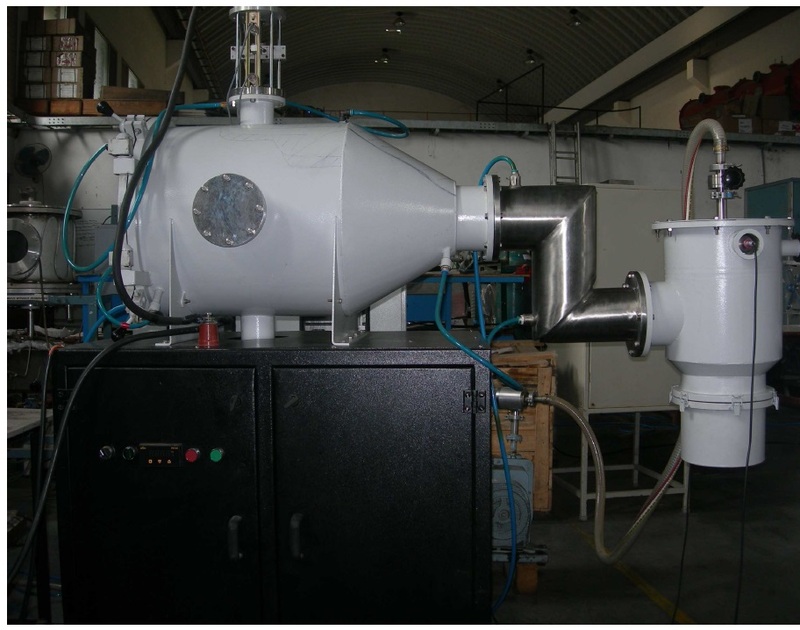 Raw material for the oxide nanoparticles is the respective metal powder/pellet/ block.